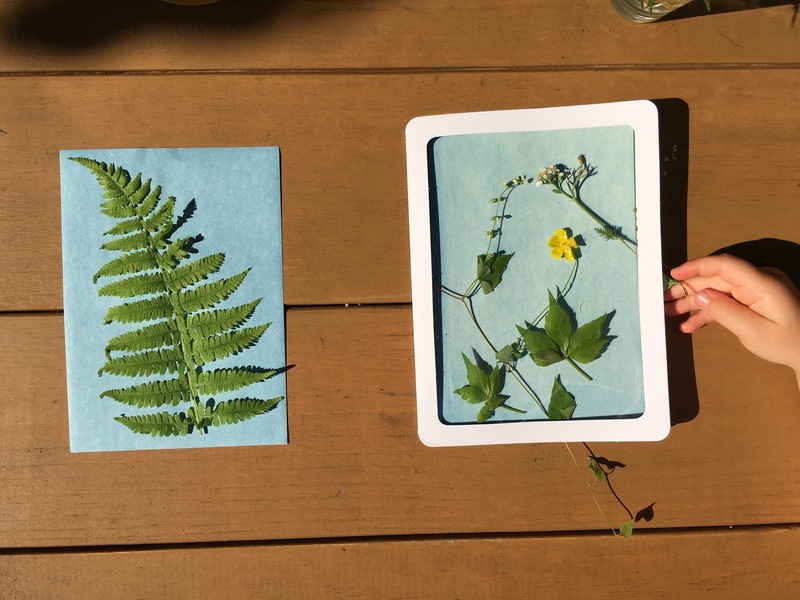 Growing up I absolutely loved making solar prints, and now I get to create them with my daughter who loves them as well! 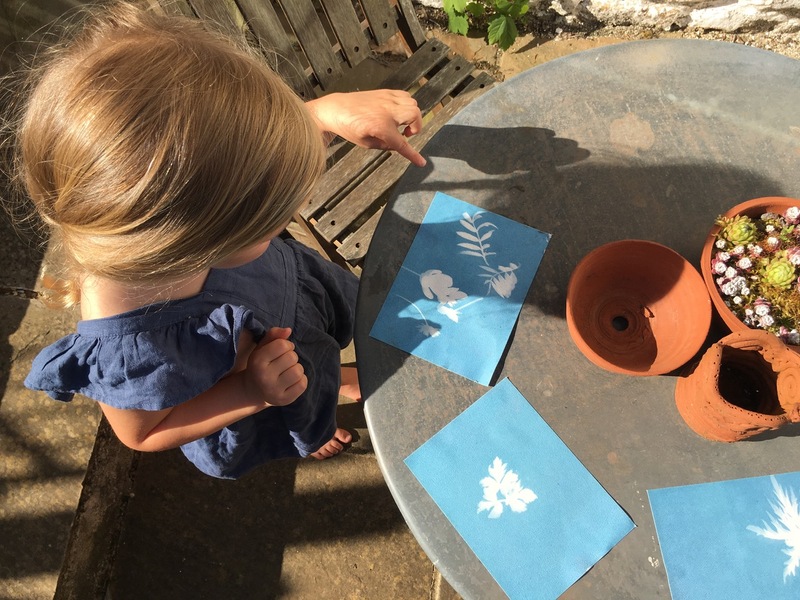 Solar prints are also great to do with friends on weekends away, and has been a big hit. Solar prints, also known as cyanoprints, or sun prints, are made using photoreactive paper, sun, and water. It is both a creative and a scientific process — great for all ages, and nearly fail proof — perfect! The process is simple. 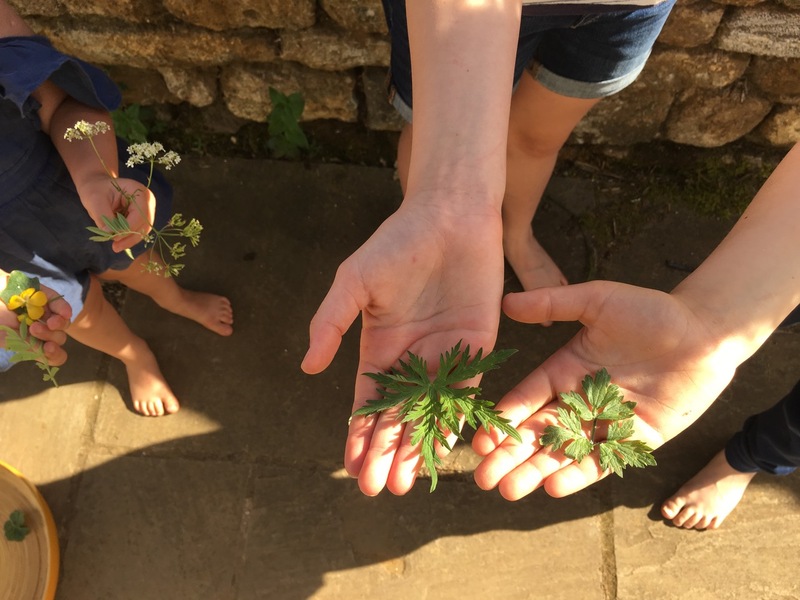 Find interesting shaped leaves (ferns are my favourite! ), flowers, bugs, shells, even wheat or grass can look beautiful. 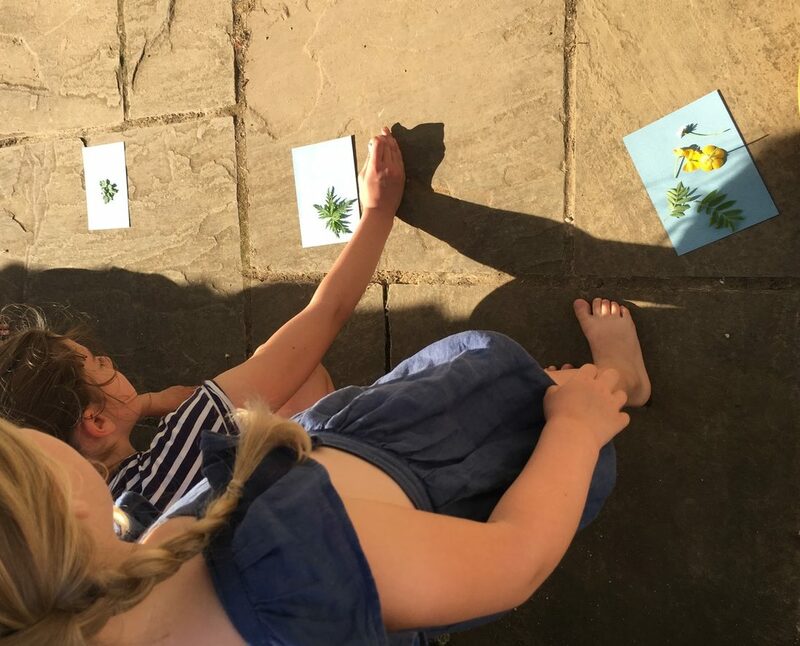 Then work with the children to help consider their composition… because once the paper is exposed to the sun, you have to arrange it very quickly! Some kids like the minimal look (like our friends did — they wanted to understand the whole process before getting more creative). 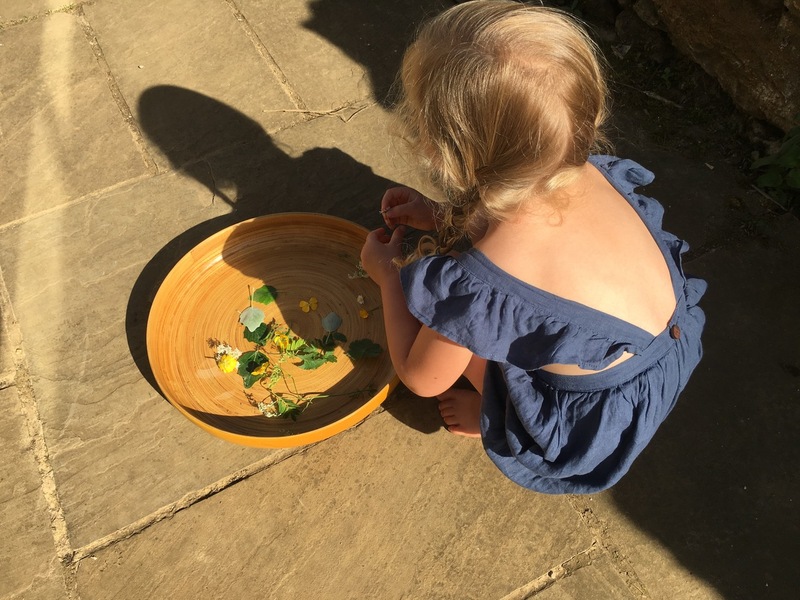 Yet some children layer everything they find from the garden onto the sheet at once. There is a balance to be struck. Regardless, it is an experiment, and the end result usually looks very professional. And I love that indigo blue colour of the paper once it is complete! Make sure you aren’t in areas where shadows can be cast on the print. The paper is sealed in a black plastic bag. Only remove the paper when ready to make the prints or it will overexpose the paper. Keep it away from curious little ones! If it is too windy or breezy, items may blow away. Find a wall or side of a house that you can use to ‘break’ the wind. Some kits contain a plastic protector sheet so items don’t blow away. Last summer we made numerous solar prints which we then framed and gifted to Grandparents. A sweet gift! The kits are available from numerous retailers. I used this sun print set in the US last year, and really loved the large paper. 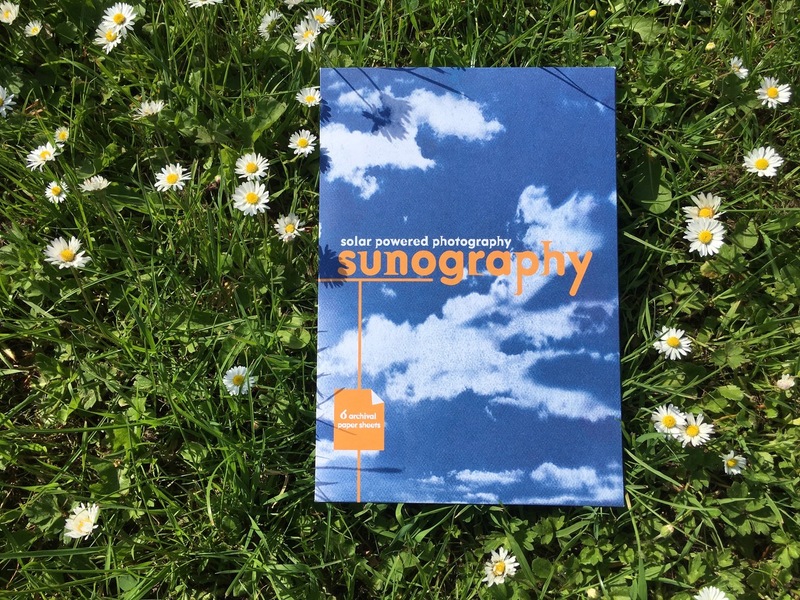 And these sunography prints from the Hedgehog shop in the UK are great, or try their fabric solar graphic set as well. 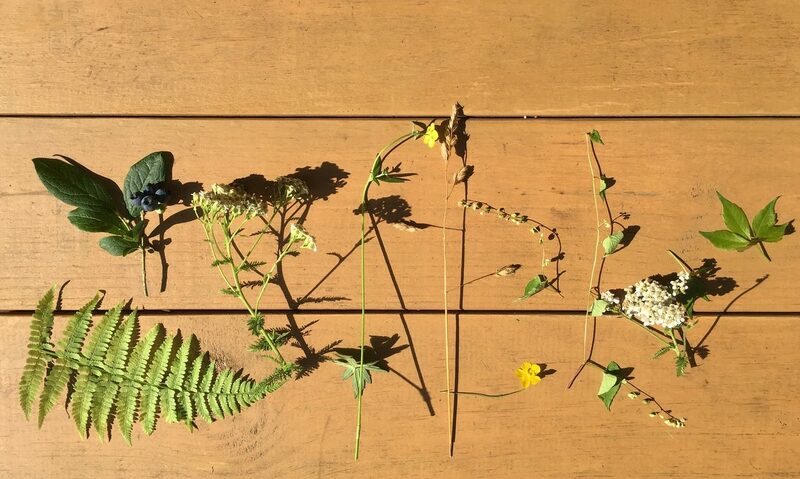 I hope you create some souvenirs with solar paper this summer and perhaps it will inspires some other nature projects as well. Embrace the sun and outdoor fun! So lovely Lara. 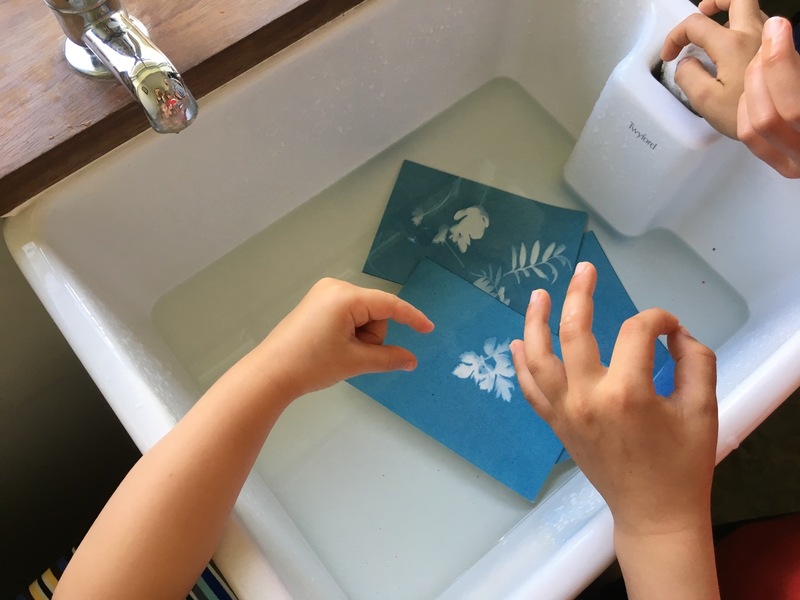 We made similar sunprints last summer with fabric and ink. It’s such a fun activity. Would love to do a whole duvet cover one day.